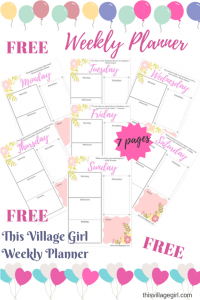 As this is a guest post on This Village Girl, I’d like to say thank you to my gracious host for allowing me to guest post on her blog. Thank you Dani. Learning to love yourself can be a process that takes time. 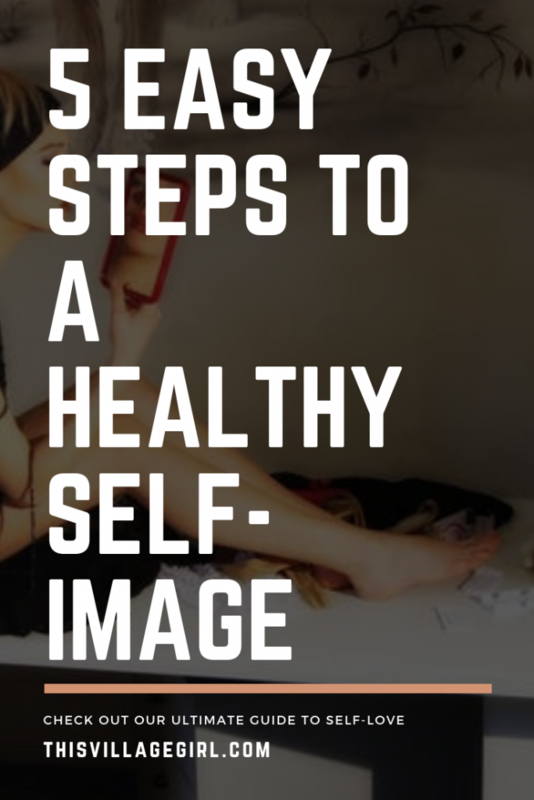 These 5 easy steps to a healthy self-image are practical and can be implemented today. Being able to walk out your front door knowing who you is a game-changer. A healthy self-image is something that eluded me most of my life. Even into adulthood, I found myself doubting who I was or what I was capable of. I didn’t like my appearance. I didn’t like the fact that I was different. I didn’t like the fact that I was only of average height! 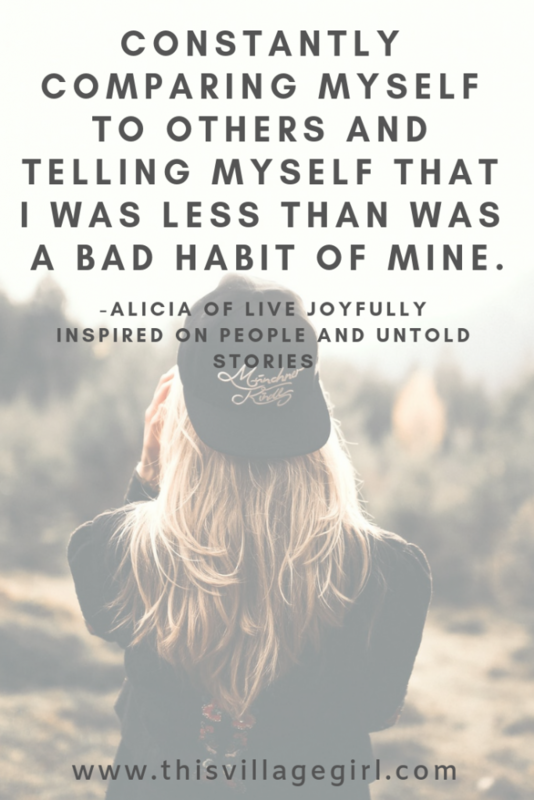 Constantly comparing myself to others and telling myself that I was less than was a bad habit of mine. It wasn’t until I one day I had an epiphany. It finally hit me that who I was, was a person with value, intelligence, beauty, strength, loved, admired, confident, and so much more. But getting to this place was a journey. It required a lot of prayer but most of all, it required a revelation from my Heavenly Father. My self-image changed only once I realized who I am in Him. Through His love and patience, He taught me how to love myself and know, deep in my heart that I have worth. Growing up, I had issues. Who doesn’t, right? 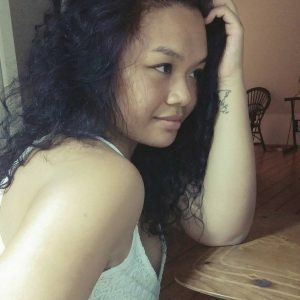 I was bullied in elementary school which stayed with me my whole life. I had a loving family but still never quite felt good enough. In high school, I wasn’t invited to parties, didn’t go on dates. Yea, I know, poor me. But honestly, it’s these types of things that get down into your spirit and they actually affect the way you think about yourself. So, needless to say my self-image was pretty low. I was great a certain things such as reading, crochet, and writing (Spoiler alert, super nerd speaking. Seriously, I practiced flash cards for fun. Full disclosure, I was an only child). But overall, I felt less than. Until God. He wrapped me up and brought into my vision just who I am and helped to eliminate some things that kept me going in that nasty circle of an unhealthy self-image. And I am excited to share these things with you because my life has been changed dramatically. So let’s get into it so you can start building your self-image with these 5 easy steps. This one might go without saying but constantly being surrounded by negativity does absolutely nothing for a healthy self-image. If you’ve got people in your life who are always throwing insults at you or are just plain negative, try to limit your time spent with them. If this is a close family member, even a spouse, let them know how their words or actions hurt. Calmly letting the other person know that what they do or say is not OK, is a step in the right direction. Talk to those around you with a smile on your face, whether you’re feeling it or not. It takes practice but you can do it. In addition, remove things out of your life that serve no purpose. When trying to develop a healthy self-image, minimalism can be very helpful. This will look different for everyone. Only you know what can be eliminated. In order to grow a healthy self-image, you must take some time to reflect on the good. Go over your accomplishments. Give yourself credit where credit is due. Compliment yourself on the things you have achieved. Have you recently learned a new skill? Did you get a promotion at work? Did you finish reading a book or deep clean something in your house? Do you spend time volunteering? These things are GOOD and they require acknowledgement. Take some time to say to your inner self, I did good today. I finished something. I improved someone else’s quality of life. All of these are ways of maintaining a healthy self-esteem/image. Furthermore, in Jeremiah 29:11, we are told “For I know the plans I have for you,” declares the Lord, “plans to prosper you and not to harm you, plans to give you hope and a future.” Wow! The Lord declares over you plans for a bright future filled with hope. And as it tells us in the previous verse, you were wonderfully made. When you realize this, there is no room for self-doubt. God gave us His all to be set free from the bonds of an unhealthy self-image and to live prosperously with joy. I encourage you to open your Bible and get the Word of God implanted deep in your spirit. When your heart and soul is filled with what God says about you, there’s no room for the enemies lies. Just as getting the Word of God implanted deep within your spirit, you must put a healthy self-talk into practice. Speaking out the truth about who you are, does wonders for a healthy self-image. I am an optomist, always have been. It wasn’t until a few years ago that I began to really speak out positive words over my life and my family’s life. I tell myself that I am a good friend, that I am talented, that I have gifts. and so on. It’s important to keep in mind that just because you screw-up doesn’t mean you are a screw-up. You are going to make mistakes. You are going to mess up. But learn and grow from those mistakes. They’re just part of this human life. When you learn to turn around those harmful words into words of encouragement and gratitude, there’s a shift in your perspective. Speak out about your beauty, speak out about talents, speak out how good you are at…whatever it is. Give yourself a pat on the back and begin to see your world changes. Tell yourself you are an overcomer. Tell yourself you can do this. The word choices we make play a huge role in the outcome of our life. I know this one may sound a little weird but hear me out. When you are spontaneous, it actually helps your confidence grow. How do I know this you might ask. Well, I’ve been there, done that. Stepping out and doing something on the spur of the moment is not something I would ever want to do but the more I do it, the more confident I become. Example, as previously mentioned, I am a super nerd and I might as well add, a wallflower or I used to be anyway. In the past, if you looked up wallflower in the dictionary, you just might have seen a picture of me 😉 Nevertheless, at my church, there is an always an open invitation to go down in front and worship during the praise and worship time. Oh, but how this is sooooo hard for me. Going down to be in front of a bunch of people is not a strength that I possess. It doesn’t matter that I know they aren’t looking at me, doesn’t matter that I know they are in their own worship. It’s still daunting to try to make my way to the altar. Ah, when I finally do, I receive a blessing greater than I could have ever imagined. And each time I do it, I get more comfortable stepping out. I will admit, this step is probably the hardest for me personally, to attain. But my confidence grows each and every time I decide to speak up or step out. I encourage you to take baby steps in being spontaneous. Do one thing today that requires you letting go of your self-doubt. Then next time go a little bigger, and then a little bigger. 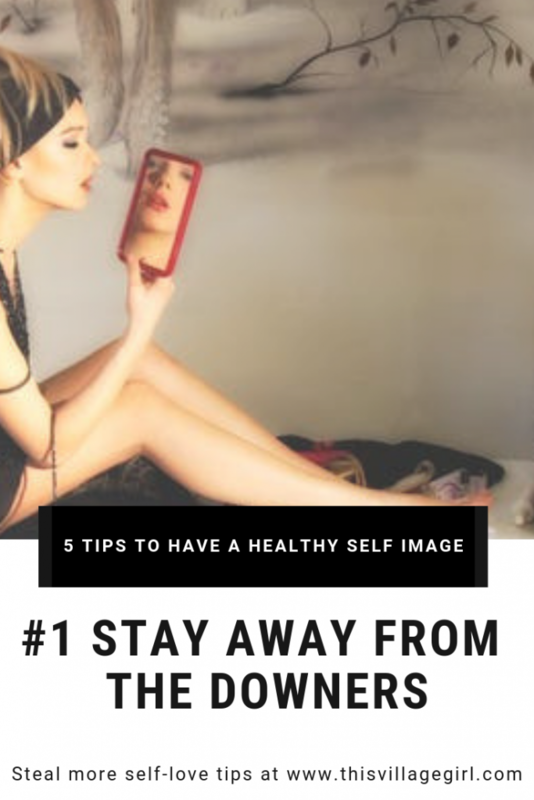 It’s all part of these 5 easy steps to a healthy self-image. Moreover, a healthy self-image can increase your overall sense of well-being which in turn can build your immunity and help your body to function more optimally. Science has shown that living positively or with positive influences in your life causes the cells in your body to increase in functionality and continue to increase in this manner thus creating a healthy brain and body. Read more here. 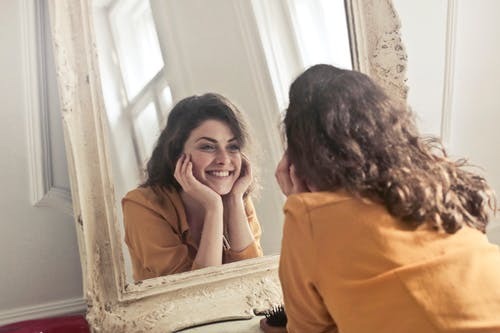 Putting into practice these 5 Easy Steps To A Healthy Self-Image might take some time. When making changes, try not to get overwhelmed, just take one day at time. You can easily start today by implementing just one. If you get to two or three steps, awesome. However you decide to begin this positive change, remember that you are an amazing person with amazing talents and you deserve to believe in yourself. I’d like to say thanks again to my lovely host, Dani, at This Village Girl for allowing me to guest post on her blog. Her beautiful blog contains some incredible, uplifting posts and stories to enlighten and inspire you. Be sure to check it out, you won’t be disappointed. Alicia is a wife, mom, Christ follower who loves sharing her knowledge in hopes of inspiring others to live their best life now. 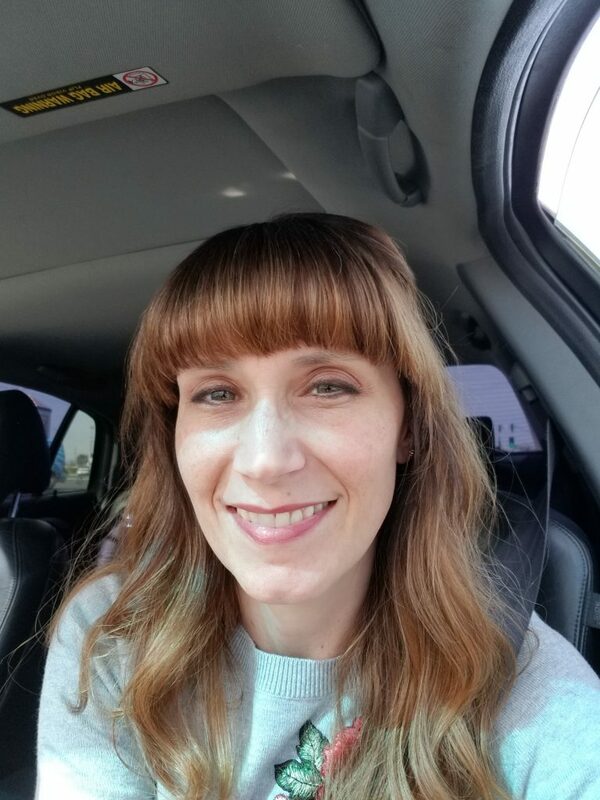 Her blog is full of faith and inspiration, essential oils recipes and information as well as wellness tips and tricks. You’ll even find a 5-minute devotionals section. Keeping moms and families healthy from the inside out is her passion and purpose. Thank you. Baby steps may be small but they still count! As long as we keep moving forward, we’ll get there! Great advice and tips to a healthier self image:) I totally agree with reading the Bible every day. This has extremely helped me. Knowing I am loved by God and I am his child, that He forgives me and that He is always there for me, changes everything, my view and perception on life and myself and others. I don’t know how I did it before I came to know Jesus. Love all your other ideas as well, pinning to save. I’m so glad you enjoyed the post. And yes, our true identity is in Him. I don’t know where I’d be without Him either but I know if wouldn’t be good. 🙂 Thank you. I have learned to love myself more over the years, having learned that no one is perfect and knowing that I am growing into a better me with faith and practice every day. Thanks for sharing practical tips. You are most welcome. I’m so glad you found some encouragement. Keep growing and keep believing. Thanks for the comment. Thank you. I absolutely agree with you. Negativity breeds negativity. And who wants that, right? Focusing on the good is definitely the way to go. I need to try a few of these! Such a great post! Thank you! I’m so glad you found the post encouraging. Which steps do you think you’ll try first? You’re welcome. I’m so glad you found the tips helpful. I love how you stated you prepare yourself by speaking out positivity. It really sets your mood for the whole day doesn’t it?